In the well-known ancient myth about how the Athenians chose their patron deity, the Greek goddess Athena won the sympathy of the city’s people by offering them the olive tree as a gift. This myth, placing the origin of the olive tree in the hands of the goddess of wisdom sometime in a very distant past, is but one of many stories about how important the olive tree is for the Greeks and the Mediterranean in general, from Palestine to Portugal and Tunis to Trieste. For example, on the island of Crete, the largest and most populous of the Greek islands, the production of olive oil dates back to the Minoan kingdoms (i.e. 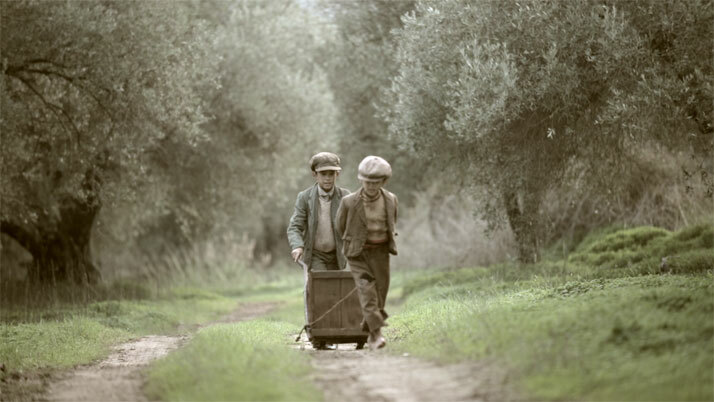 around 4,000 years ago); some of the island’s olive groves are actually thousands of years old, having grown under the care of countless generations of Cretans. 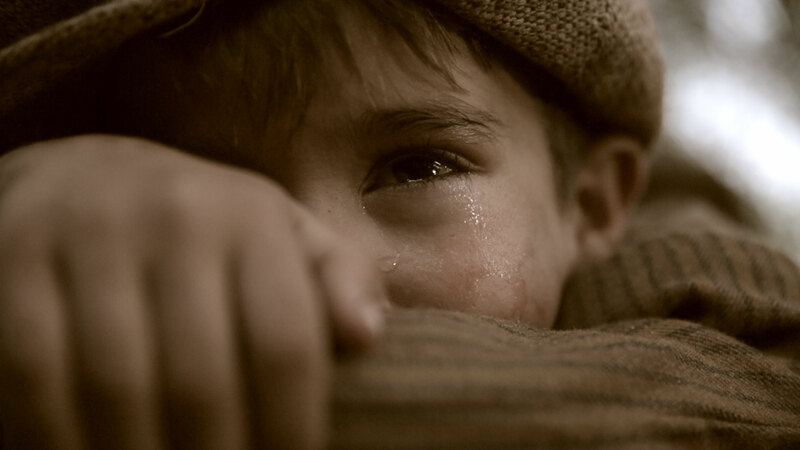 ''The Olive Tree Will Always Be Here'' film still, © Indigo View & GAEA. 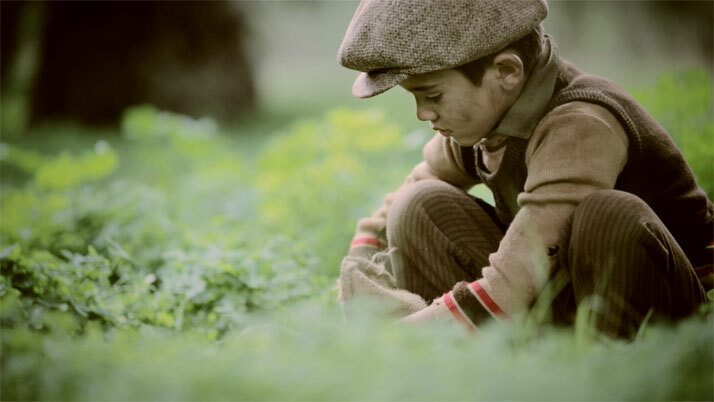 Honouring the ancient tradition of extracting the precious oil from the olive tree's fruit, Greek food brand GAEA specialises in producing and exporting fine olive oil and related products. 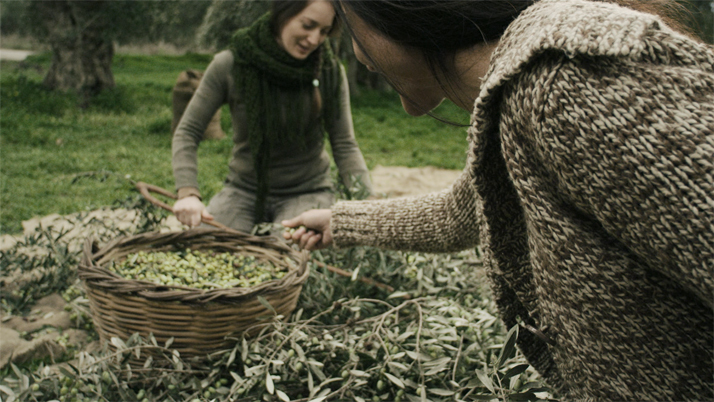 By establishing exclusive collaborations with farmers and producers, GAEA ensures for some of the finest olive oil that Greek olive groves can offer. 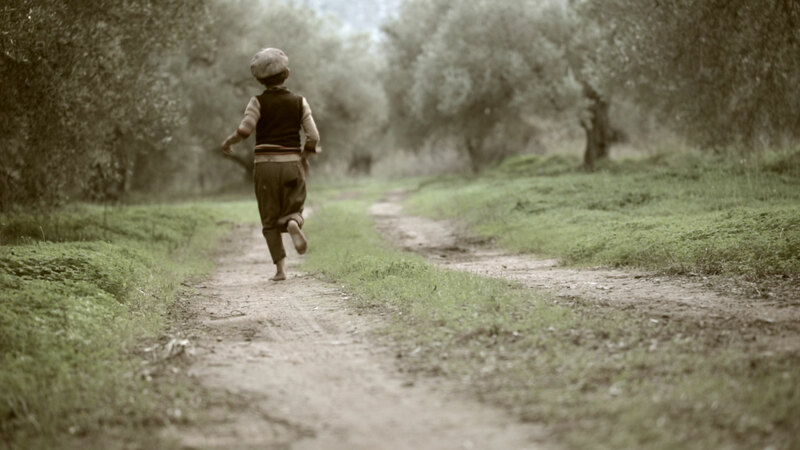 A captivating visual journey that conveys these and more interesting facts about the culture of olive oil farming, together with a truly heartfelt story about an old man from Crete who literally spent his entire life amongst the olive trees, are part of a short film produced by Indigo View for GAEA which celebrates the values and tradition surrounding the olive trees and the people who take care of them on Crete. 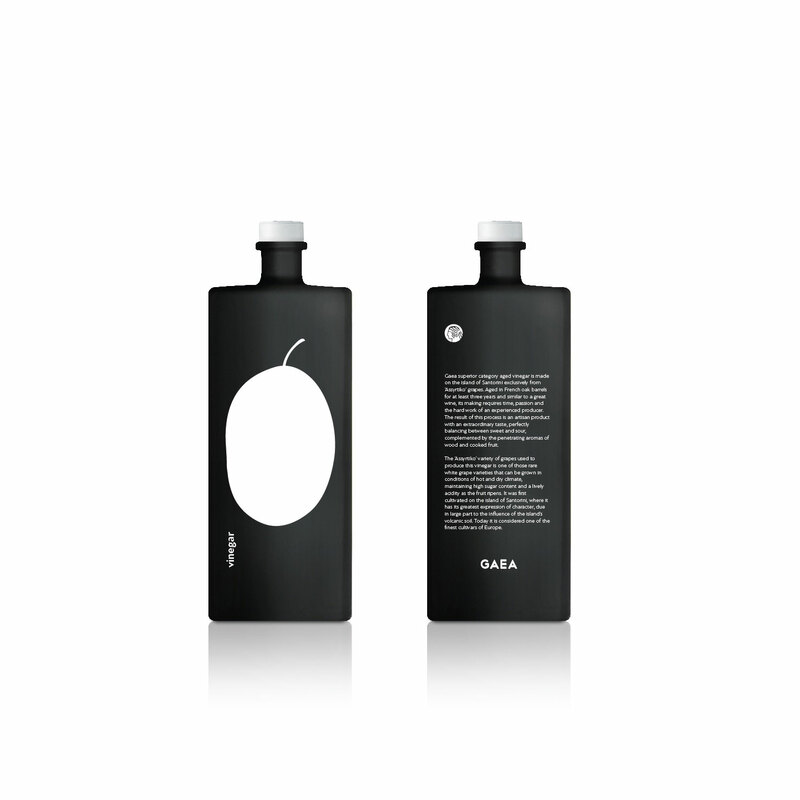 GAEA is an international brand that exports its fine food goods all over the world. The brand has released in tandem with the short film a limited edition luxurious black & white gift box especially for the Chinese market, with an impeccable design in par with its outstanding contents, namely select extra virgin olive oil from Kritsa in Crete and superior quality barrel-aged vinegar from Assyrtico grapes from the island of Santorini. 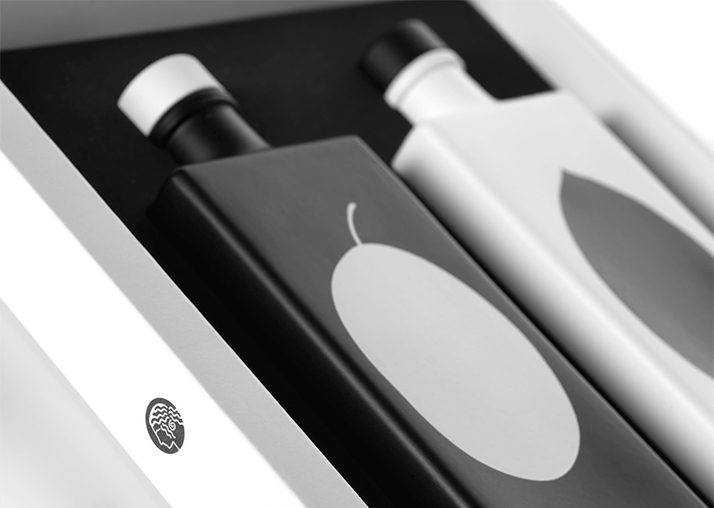 The design of this special double gift box was assigned to the team of Athens-based design studio mousegraphics, who came up with a minimal, perfume-like carton case that tastefully merges elements of western and eastern culture: abstract drawings of an olive and a grape berry decorate the black and white glass bottles of the olive oil and vinegar respectively, evoking a yin-yang relationship between the two. The precious gift box is available for sale here. 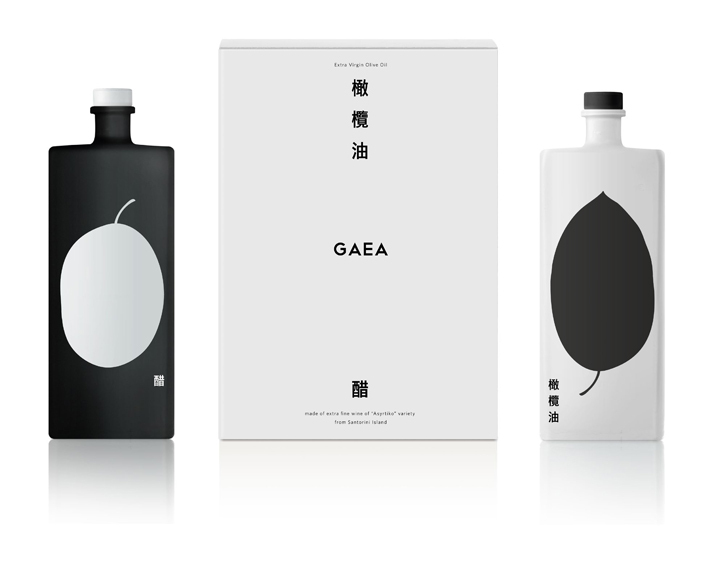 GAEA Black & White Gift Box (Chinese packaging). Photo © mousegraphics. 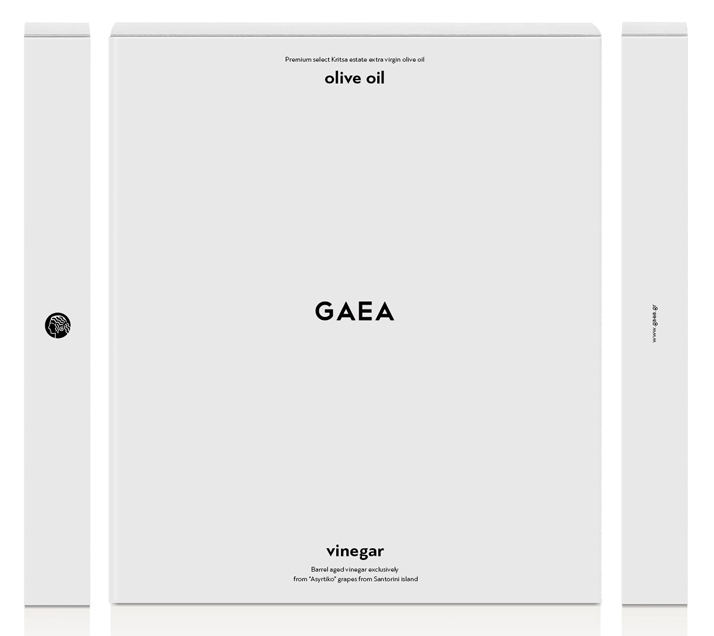 GAEA Black & White Gift Box. Photo © mousegraphics. Apart from the Chinese version, a limited-edition international gift box has also been released. 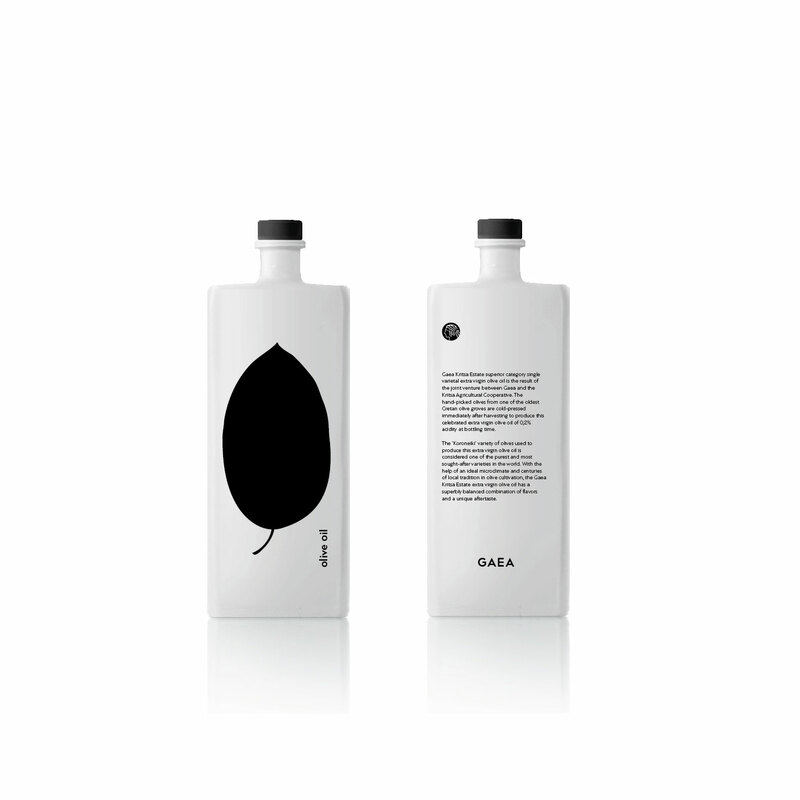 GAEA Black & White Gift Box (International packaging). Photo © mousegraphics.